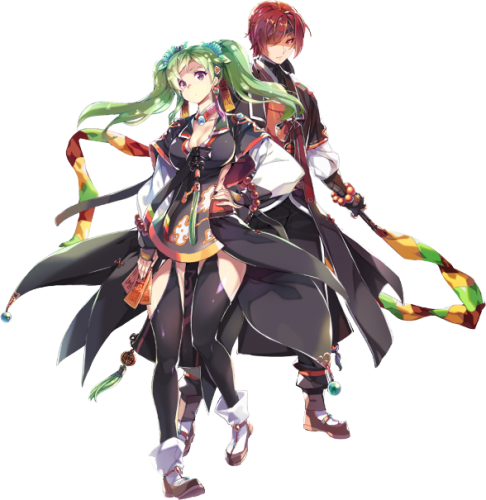 With the advent of jRO releasing new Job Costumes, and also, the new classes from the Taekwon branch, many of server owners want to replace the vanilla sprites or even, implement the bodystyle system. But, there's a catch! Originally jRO, and now, even kRO spriters, have made it completely off of the default pattern of palette. In a classic example, you can notice the pattern of the RO palettes. What matters is the position of the colours, as an example, for all jobs, the white-ish tones will be always on the same row, so we can use it to create custom palettes. But jRO didn't follow the classic pattern, making it incompatible with custom palettes (@Kamishi ones included). 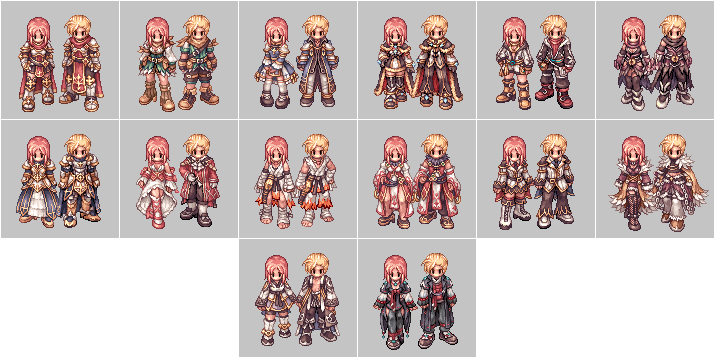 So, I edited frame by frame of each job sprite, of each gender, mounted or not, correcting them, converting them in a way so many of the previously created palettes will work. Following the another @Emistry's request, all files are now already on GRFs. The previous version had no Cashmount palette included, this one fixes the issue. Only the already released costumes are supported at this moment. The Rune Knight seems to be the last of them, it's over a year from the first release! As a final part of the package, I'm including Classic Palettes for all Alternate Costumes. 1.1.0 - (04/13/2016) ArchBishop Released! 1.2.0 - (09/28/2016) Ranger, Warlock Added & Extras Released! 1.3.0 - (01/09/2017) Wanderer, Minstrel Added & Classic Palette GRF Released! 1.3.1 - (01/11/2017) Revamp, Mounted Royal Guard (Griffon) Fixed. 1.3.2 - (01/19/2017) Folder Structure Fixed. 1.4.0 - (03/24/2017) Shadow Chaser Released, Converted to GRF. 1.5.0 - (08/21/2017) Sorcerer Released, Palette Pack Removed. 1.6.0 - (09/19/2017) Sura Released!